Download "HELPERS FOR THE APOSTLES (B.2.SPRING.10)"
3 took care of one another, helped the poor and provided for those in need? The church needed helpers to make sure that these important ministries didn t get forgotten. The apostles simply couldn t do it all. And they didn t have to, because God had given each person different gifts to use to serve the family of God. 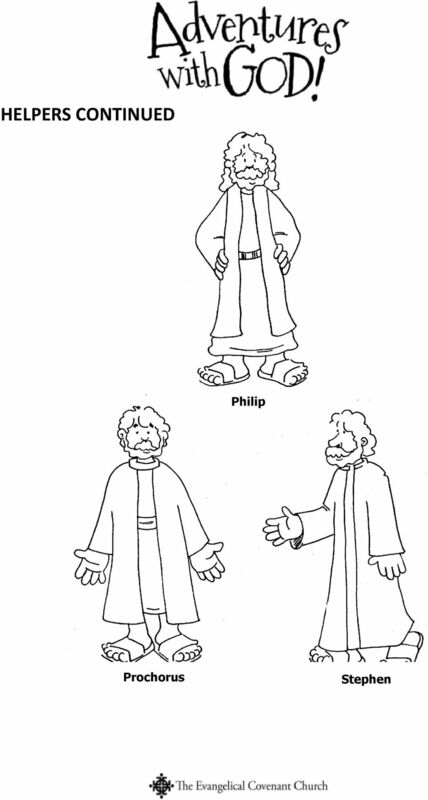 So, they chose helpers (servants/deacons), Read the story found in Acts 6:1-7. Review the details of the story with the children. Why were helpers chosen? Who was chosen to help? (use the figures provided in the following pages) How did this make everyone feel? And so the disciples and the newly chosen helpers, were able to support each other and together tell people about Jesus and continue taking care of people in need. In what ways is the church like a team? What happens if we don t all contribute something? What are the ways that we form part of the team? Craft: In the following pages you will find a suggested craft. 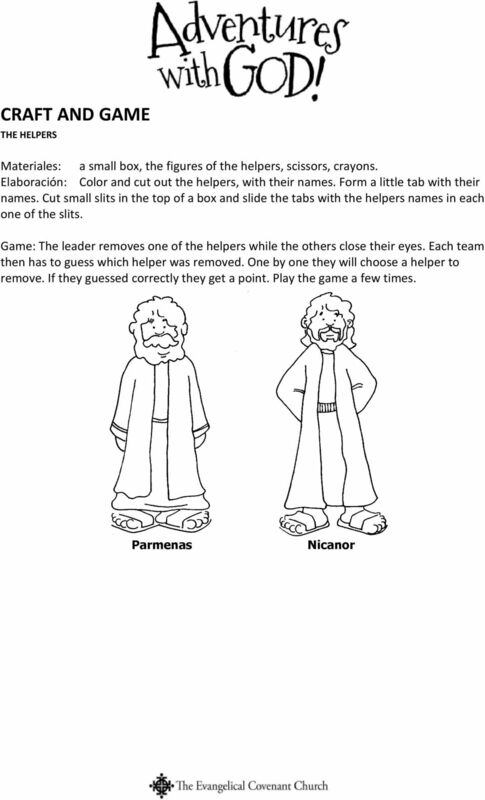 This can also be used as a game to help the children learn the names of the helpers (deacons) that were chosen in Acts 6. Bible verse: Write out the verse on a big piece of poster board. Cut out pieces, like a puzzle. Give out the puzzle pieces and have them put together the puzzle and read the verse in unison. 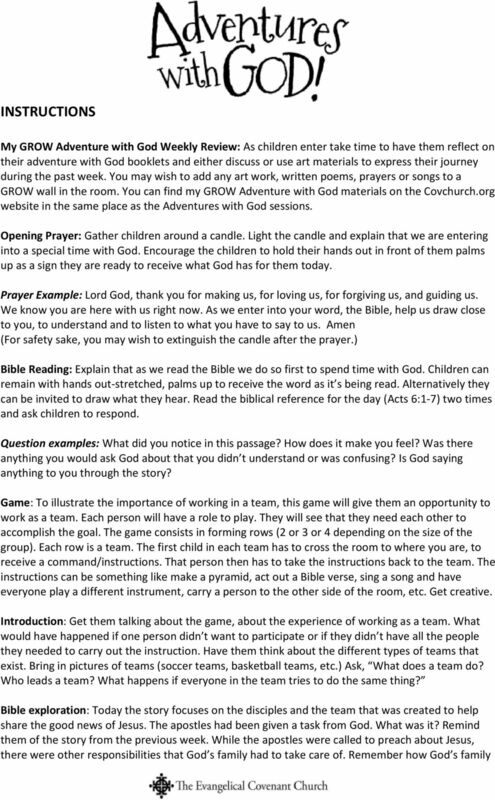 Today's GROW Adventure with God Review: G: God's Word: What is the story? (Give children an opportunity to express their understanding of the story). R: Relationships: Is there anything in today's Bible story that shows us how we should or shouldn't share God's love with others? (Remind children that sometimes God uses the stories of the Bible to show us how we shouldn't act toward God or others and give them a chance to consider how we might show God's love instead). 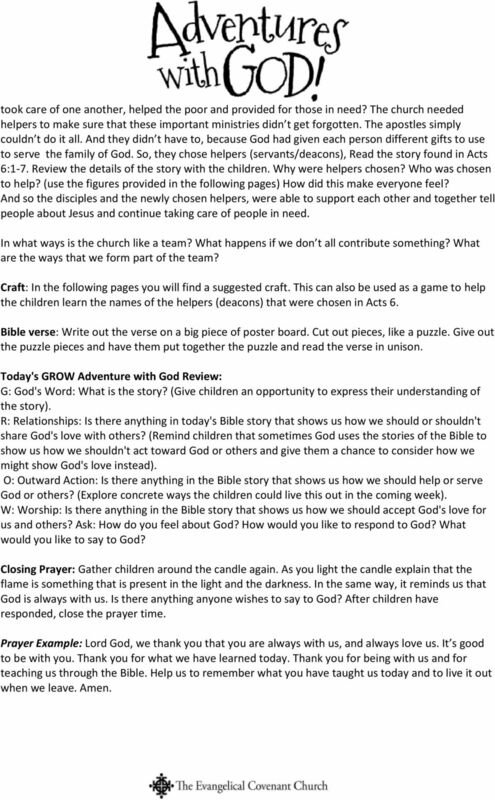 O: Outward Action: Is there anything in the Bible story that shows us how we should help or serve God or others? (Explore concrete ways the children could live this out in the coming week). W: Worship: Is there anything in the Bible story that shows us how we should accept God's love for us and others? Ask: How do you feel about God? How would you like to respond to God? What would you like to say to God? Closing Prayer: Gather children around the candle again. As you light the candle explain that the flame is something that is present in the light and the darkness. In the same way, it reminds us that God is always with us. Is there anything anyone wishes to say to God? After children have responded, close the prayer time. Prayer Example: Lord God, we thank you that you are always with us, and always love us. It s good to be with you. Thank you for what we have learned today. Thank you for being with us and for teaching us through the Bible. Help us to remember what you have taught us today and to live it out when we leave. Amen. Now I See! References John 9:1-38; The Desire of Ages, pp Memory Verse One thing I do know. I was blind but now I see! (John 9:25, NIV). QuickTeach activities marked with (QT). 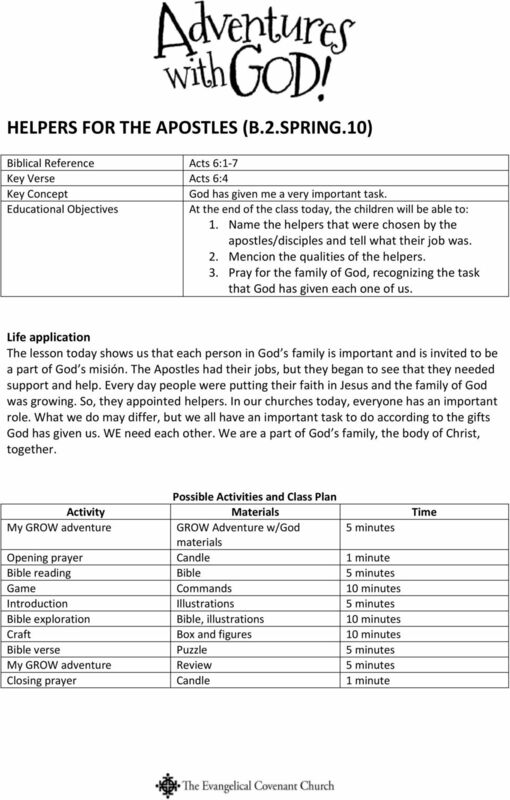 Teacher page 9, explains Quick Teach. Healer Lesson 3. Psalm 103:3 He forgives all my sin. He heals all my sickness. Why Can t We All Just Get Along? October 23, 2011 Proper 25 Deut. 34:1 12 Ps. 90:1 6, 13 17 1 Thess. 2:1 8 Matt. 22:34 46 The Greatest Goal for the Session Children will explore the greatest commandment and its roots in the Hebrew Scriptures.